The axiom of two being better than one proves fruitful again as a second auto outlet reported this week that Ford’s next-generation Focus RS will boast a mild hybrid powertrain that pushes output to 400 horsepower. Autocar on Wednesday substantiated the idea, originally reported in March by Dutch outlet Auto Internationaal, of the new Focus RS using mild hybrid technology to increase output and improve efficiency. Though Autocar did not refer to its source or sources, the information it reported was ostensibly the same: the next-generation Ford Focus RS will utilize a 48-volt starter/generator system that will bolster the output of the 2.3-liter EcoBoost inline-four to approximately 400 horsepower and 425 lb-ft of torque. It’s speculated that this would enable Ford to shave 0.4 seconds off of the current Focus RS’s 4.2-second 0-60 mph time. It is not yet known whether Ford will lump information on the Focus RS into its April 10th reveal of the fourth-generation Ford Focus. 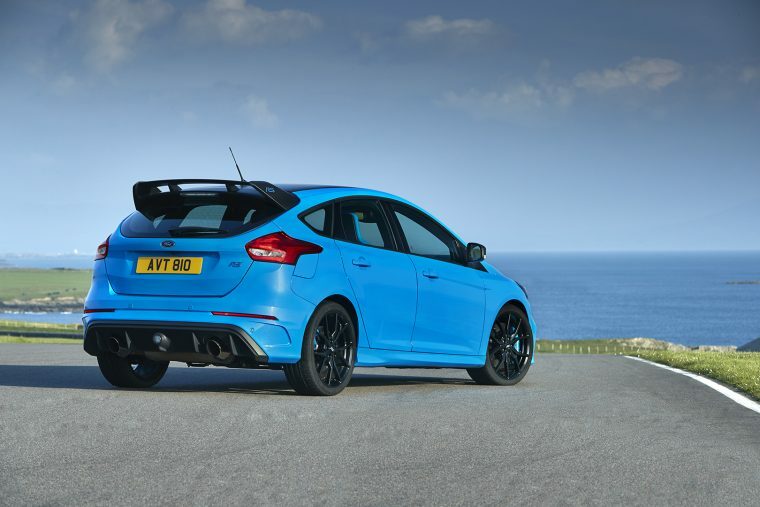 It’s expected that it will be offered as a Focus ST performance model from the 2019 model year, with the Focus RS expected to follow by the 2020 model year. Friday marks the conclusion of production for the current-generation Focus RS.